You wouldn't believe it today with thick snow and 100mph winds but spring is just around the corner, (isnt it?) 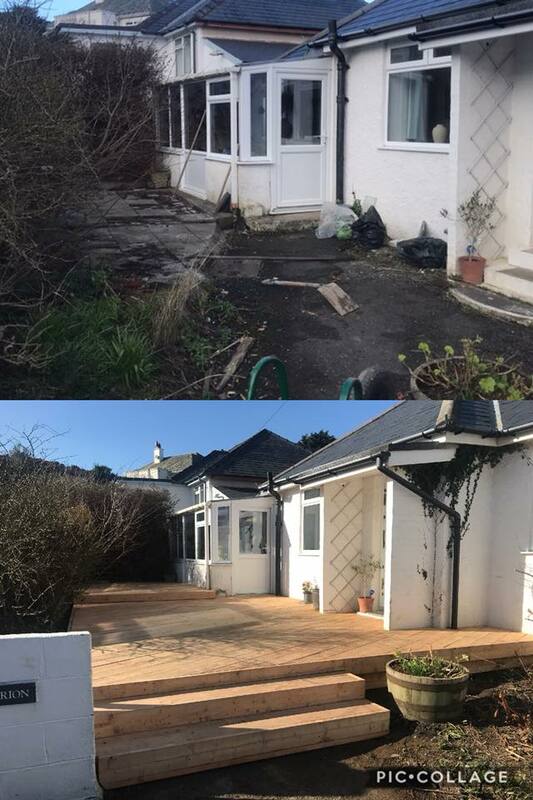 So were busy getting people's gardens ready for enjoying outdoor living. 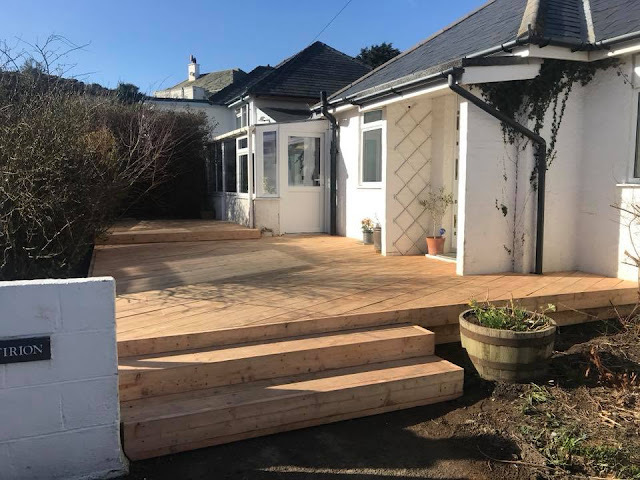 Here's a picture of a lovely Larch deck we've recently finished in Borth. The larch planks give the deck more grip than treated deck boards and a great natural look as well. As an extra bonus they come from a local supplier, so keep transport miles to a minimum. 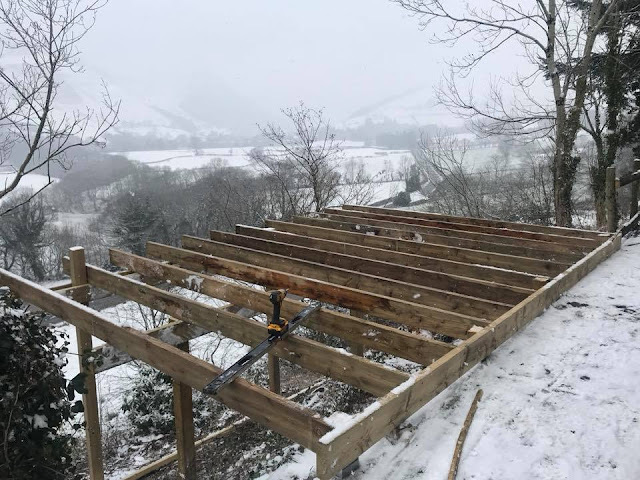 Here's a before and after image, showing the 3 different levels and relatively unusable space prior to installing the approximately 40 square meter timber deck. We dug out the patio areas to ensure the deck had enough space for substantial frame work, (6x2 and 4x3 timbers) and also additional space to allow air flow underneath the deck, which is essential for longevity of the timber.